Ahead of last night’s jumps card at Stratford Harry Skelton (78) led Richard Johnson (58) by 20 winners in the race for the jump jockey’s title but it is the latter who is now BetVictor’s 8/13 favourite to retain his title with Skelton 11/8. Johnson has three rides for three different yards at Worcester this evening and it looks an increasingly unfair fight with Skelton having a day off before returning at Sedgefield tomorrow night. Brian Hughes is a further 12 behind Johnson and is 8/1 with BetVictor. There is a good 3m Handicap Chase this evening at Worcester and I will be interested to see if there is any money for Cuirassier Dempire back over fences after a disappointing comeback here over hurdles last month. Tom George has not had many runners, however, and preference is for top-weight Bagad Bihoue (5.15) with Lorcan Williams taking off a valuable 7lbs on the Paul Nicholls’ trained seven-year-old. The drying ground should suit the selection who has yet to prove he stays three miles and is, arguably, better in small fields but he is unexposed at this trip and his sound jumping should be an asset. Peggies Venture (7.45) has had a wind operation since scoring over C&D back in May for Alan King. 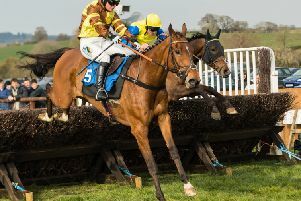 The mare was left in front two out on that occasion and may not want to be in front too soon this evening, but the drying ground is ideal, and the selection was beaten a short head on her only other start at Worcester. There is a good card at Kempton this evening and Gold At Midnight (5.55) is taken to build on a promising Leicester debut when a staying on third over 6f. There is plenty of stamina on the dam’s side and this additional quarter mile should suit. A moderate draw in stall seven is a concern, but Ryan Moore takes over in the saddle and Sir Michael Stoute’s juveniles often improve considerably for the run. Sweet Pearl, second at Nottingham on her debut, is the obvious danger although a market move for Ralph Beckett’s Innocent would be worth noting. I am convinced there is a race to be won off a mark of 61 with Sister Celine (7.25) and she is given a last chance with Genuine Approval and Midnight Mood likely to ensure a decent test. The selection was given a poor ride in first-time cheek-pieces at Wolverhampton last time in a slowly run race over an additional half-mile. If they do go a decent gallop and Andrea Atzeni can get her into the race from stall nine she must go close. The booking of Silvestre De Sousa for Faithful Promise (8.55) who is blinkered for the first time suggests a big run in expected from Chris Dwyer’s filly and the yard did have a winner at Yarmouth on Sunday. The handicapper has dropped the selection a couple of pounds since a poor run at Leicester in first-time cheek-pieces last time, but she was a dual winner for Mark Johnston as a juvenile and a repeat of her penultimate run would make her hard to beat.